Grand Old Partisan lauds Ruth Hanna McCormick, born in Cleveland this day of 1880. Her father, Marc Hanna, and first husband, Joseph Medill McCormick, became U.S. Senators. She was a prominent suffragist and organizer of Republican Women's clubs. In 1918, Ruth McCormick chaired the Republican Women's National Executive Committee. Six years later, she was elected the state GOP's first National Committeewoman. In 1928, this social reformer won a U.S. House of Representatives seat. She told the press: "The first and most important thing that I want to drive home is this: I haven't gone into this as a woman. I am a politician. I have been a political worker for more years than most of the men in the party today." Rather than run for re-election, she campaigned – unsuccessfully – for the U.S. Senate. Her second husband was a former Republican Congressman from New Mexico. She was delegate to the 1936 and 1944 Republican National Conventions. She co-managed Thomas Dewey's bid for the 1940 presidential nomination. Michael Zak is author of Back to Basics for the Republican Party, a history of GOP civil rights achievement. 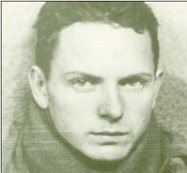 Each day, Michael Zak's grandoldpartisan YouTube channel and Grand Old Partisan blog celebrate more than sixteen decades of Republican heritage. And, see Speech Raves for audience feedback from his presentations in thirty-one states so far. 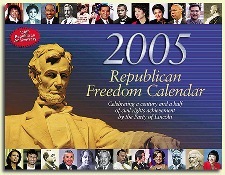 He also wrote the 2005 Republican Freedom Calendar. Clarence Thomas cited Back to Basics for the Republican Party in a Supreme Court decision. "This is the most amazing book about politics that I have ever read. The Overview should be required reading for anyone with even a minor interest in government. The remainder is an enthralling history lesson that I will never forget. For years, we have all been misled about the true nature of the GOP. This is the real deal! Read it and be proud!" "Michael Zak wrote the definitive history of the GOP." "Back to Basics for the Republican Party is the most significant contribution to the Republican Party in the last twenty years apart from Ronald Reagan." "Back to Basics for the Republican Party is more important to our party now than ever before." "one of the best books I ever read"
"We need to promote Back to Basics for the Republican Party to every single proud Republican!!!!" "Every precinct committeeman, every candidate and every teacher with a Republican affiliation should read this book and pass it on to another." "Michael Zak takes a novel approach to the culture wars by boldly boasting the historical record of the Republican Party. Rather then sheepishly bow to the Democrat's ongoing myths (and frequently, outright lies) about the GOP, he brings the history and heroes of the Republican Party into the fray." “Why is it that we Republicans are so easily outmaneuvered by Democrats? Why do Republicans so readily fight among themselves? Why is it so difficult for Republicans to advance their policy agenda? "Your words at the Lincoln Day dinner were truly inspiring. Thank you so much for your dedicated work and contributions to our Party." "Your book is outstanding, and it's nice to have the information come alive during your presentation. You are at once informative and motivating. We've got to get back to basics -- as you say." "Thank you for speaking at the luncheon. I've already received many favorable comments. You're absolutely right that the Republican leadership should know our party's history." "Thanks for all that you do for the Republican Party and our Nation." Click here for more audience feedback. I am offering the solution to a problem most Republicans don't know they have -- that they can be outmaneuvered and thrown on the defensive endlessly, on nearly any issue, because they accept as true Democrat lies about the Republican Party. To correct that misperception and to help the Republican Party get 'back to basics' is why I'm a man on a mission. A few years ago, after one of my speeches, a man told me "Do you know what your problem is? You're too far ahead of your time!" My efforts to show Republicans how they would benefit from celebrating the heritage of our Grand Old Party have been arduous, but if this were easy someone else would have already done it. Among my speech topics are Reconciling the Tea Party and the GOP; Barack Obama, the Worst President Ever; Socialism, the new Slavery; Appreciating the Heritage of our Grand Old Party; Returning to the Founding Principles of the United States; The Women’s Rights Achievements of our Grand Old Party; Abraham Lincoln, Republican; Frederick Douglass, Republican; Martin Luther King and the Republican Civil Rights Legacy. Michael Zak is a popular speaker to conservative organizations around the nation -- thirty states so far. His message is that Republicans would benefit tremendously from appreciating the heritage of our Grand Old Party. "Your book is a national treasure. I'm always recommending it to people." "Thank you, Michael!!! Every person who calls himself a Republican, and every person who just wants to know the truth. should know your book!!!" "If you're a Republican and love history, this book by my friend Michael Zak is a must read. And if you happen to be looking for a Lincoln/Reagan Day dinner speaker, I highly recommend him." "Get a copy of Michael Zak's book, Back to Basics for the Republican Party"
"I recommend Back to Basics for the Republican Party to everyone who wants to be educated on the true history of the GOP and America!!!! Anyone who liked the Lincoln movie will love this book. This book is perhaps the best kept secret in all political and history books in America. It is something every politico should read. It puts things into historical perspective like few other books I've read. It challenges conventional through thorough documented history. This is a must read for any student of American history and political science. One regret is that I read the book more than a decade after it was published. It truly is something you feel you missed out on. It is also a book that leaves you wanting to learn more about certain individuals such as Thaddeus Stevens. It's an incredible body of work." "Thank you for writing your book. I am two chapters into it, and find it fascinating and motivating. This may be a very significant contribution to the rise of the GOP in the coming years." "I am a believer in pro-free market and pro-constitutional rights who recently purchased your book Back to Basics for the Republican Party and have not been able to put it down. It is simply amazing you composed a book in 2003 that hits home on the most serious of topics we face today. I completely agree that we must educate and focus on the original plan as laid out by the founders of our party if we are ever to move forward in a positive direction." "I purchased your book at our Juneau, Alaska Republican Women's Luncheon last month principally because the title intrigued me. I just finished it, reading the last chapter three times. I wanted to burn the wisdom presented into my brain. Thank you again for all your hard work to research and write your book. Thank you for all you are doing to educate Americans on the incredible truth of the founding of our great country. ""Thank you for doing all the research to write this book. As a History/American Studies major, I THOUGHT I knew the difference between Republicans and Democrats, the roles of Lincoln and Stevens and Sumner and Reagan, and the history of our country from the revolutionary war through the civil war. Boy, was I soooo wrong." Read it and MEMORIZE it! "My copy is dog-eared with notes and underlined parts. “Back to Basics for the Republican Party has been tremendously helpful setting mis-educated Democrats straight on history!" “Back to Basics for the Republican Party is very informative and gives you an insight into the history of the party from the early days to the modern day presidencies of Ronald Reagan and George Bush Sr. What the author has done is provide a balanced view, giving the reader a fascinating 150-year journey of the Republicans. This book is a REAL political page turner which will open minds to a wealth of knowledge and history which most are not even aware of. Click here for more book reviews.